Genetics is the core and foundation of being a genetics provider (obviously). Yet we are reluctant to rely on and listen to geneticists. We do not hesitate to call a vet with health problems or a nutritionist to develop rations recognizing we have not received the proper training and instruction to deal in the most efficient and effective manner with these issues. What is fascinating is how few breeders, who do not have a Ph.D. in animal breeding or genetics and no “large scale” animal breeding experience, rely on the vast amount of animal breeders and geneticists available, often for free. This would be a service that would be worth paying for yet most breeders would rather rely on their high school FFA and college judging team “experience” to make some of the most important decisions regarding their business instead of utilize the free genetic services provided by academia and breed associations. I would highly recommend locating an animal breeder/geneticist that you trust and has proper training, utilize him or her for animal breeding decisions, and making your customers aware of this addition to your team so that they can have confidence that your program is based on sound genetic decisions and not opinion, preference, or old fashioned selection techniques. Develop a plan. Now, with a geneticist on board, utilize him or her to help you develop a plan. A mission statement and vision statement may even be useful here to remind you of what you are trying to accomplish. One of the biggest decision that an animal breeder will have to make is regarding the kind of cattle he will try to produce. 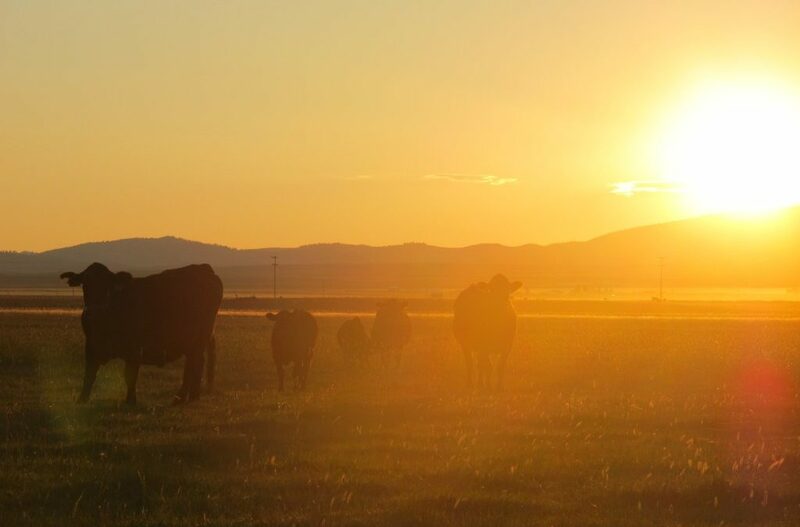 A breeder can produce the kind of cattle he likes, the kind of cattle his customer wants, or the kind of cattle the industry needs and that will maximize profitability. Sometimes all three of these will be in line with each other but many times they will not. This simple decision will define how you breed cattle. As part of your plan, develop a vision of where you want to be in the future. Your geneticist will really come in handy here, decide if you want to move towards developing certain lines of cattle. Maybe you want to develop terminal and/or maternal programs for your customers. Decide a time-line in which you want to accomplish these goals and what necessary steps you will need to take in order to do that. In addition, your geneticist may need to familiarize himself to the conditions that your bulls will be working in. This can affect you plan as well as future research and development necessary for your program. From a marketing standpoint it is important to communicate your plan to your customers and why you do what you do but that is a conversation for another time. Pursue your plan aggressively. If your geneticist has done a good job in helping you develop a solid, sustainable plan, you will then be able to aggressively pursue that plan. Many breeders will say they believe in a certain plan or believe in breeding a certain type of cattle, but when it comes down to actually making a breeding decision they weaken and stray from their plan. The beef industry is unfriendly to non-aggressive breeders largely due to generation intervals. Your decision this year will have a lasting impact for a long time and it will affect you for a long time. Your career in animal breeding is not long enough to not aggressively pursue your goals. Commit to research and development. Utilize your geneticist to help you locate areas for necessary research and development. It is important to keep moving forward for the benefit of your customers. Not every dollar spent on R & D is a wise investment. However, your geneticist can help you decide what is a good investment to make regarding the genetic improvement of your cattle and the genetic population as a whole. Commit some of your resources to these high return R & D programs that focus on carcass research, maternal merit or any other economically relevant traits. Revisit your plan. It is important to revisit you plan, especially as the industry and available technologies change. Maybe things are moving faster or slower than you thought. Make necessary adjustments to your plan and then stick to it. Locate and heavily utilize one or more animal breeding advisors or counselors. Commit to research and development.